Generally, when people ask “why do bad things happen?”, they are really asking “Why do people suffer and die?” Suffering and death are devastating; deep pain and anguish can leave people convinced that suffering, death, and even life itself, are meaningless. But what if they are not? What if, through His atonement, Christ somehow radically redefined the very nature of suffering and death, imbuing them with supernatural meaning and dignity as never before seen in the world? To understand this, one must first understand why suffering and death first entered the world. The story of man’s first disobedience can be found in Genesis, and with it, the origin of suffering and death. In Genesis 2:16-17, God presents a divine law: “You may freely eat of every tree of the garden; but of the tree of the knowledge of good and evil you shall not eat…” In the same breath, God warns Adam and Eve of the consequence of disobeying this divine law: “for in the day you eat of it you shall die.” The death that Adam and Eve were warned of was not simply a physical death, the separation of body and soul, but also a spiritual death, the eternal separation of man from God. Adam and Eve freely chose to disobey the divine law of God, and thus death entered the world. By sinning, Adam and Eve not only committed an offense against God, but also, an offense against themselves; by disobeying God, Adam and Eve sever themselves from what is proper to their being: Union with God. What is against God is against self. It is a mistake to assume that because one does not understand why sin brings death into the world, that God is somehow unfair. Both suffering and sin are experiences of evil. Sometimes we passively experience evil in the form of suffering, or we may actively cause and experience it when we sin. While it is often tempting to view evil as an entity in itself, it must not be viewed as such. When viewed properly, evil is understood as the absence of goodness. This is true for both suffering and sin. In the case of suffering, a sick person, for example, is understood to suffer from the absence of health. Similarly, sinners suffer the absence of a properly ordered will. This is sin: placing one’s own will above the will of God. In both cases, evil is the experience of lacking a good that is proper to oneself (health and union with God). As long as there is sin in the world, suffering and death are inescapable; however, Christ, through His suffering, death, and resurrection, makes a way for mankind to escape the eternal death caused by sin: “For as in Adam all die, so also in Christ shall all be made alive” (1 Corinthians 15:22). God has not suddenly changed his mind concerning divine justice; the divine law of God cannot be repealed and death is still the consequence for sin, but Christ, through His own self-giving, overcomes death and offers a new way for man to again return to His presence. Christ has linked suffering and love, making suffering in union with the body of Christ a means of achieving salvation, and death the very road by which we enter eternal life. Christ declares “greater love has no man” than he who would die for another. Thus, for the followers of Christ, suffering and even death need not be meaningless, they can be done for the sake of love. St. John tells us, “God is love” (1 John 4:8). Thus Christians, as members of the body of Christ, have an opportunity to unify their sufferings with the sufferings of Christ in an act of love. Furthermore, all people may join in this unity by becoming members of Christ’s Body, the church: “…so we, though many, are one body in Christ” (Romans 12:5). Ultimately, man is responsible for death entering the world, yet Christ, out of love, makes a way for man to again return to eternal life. 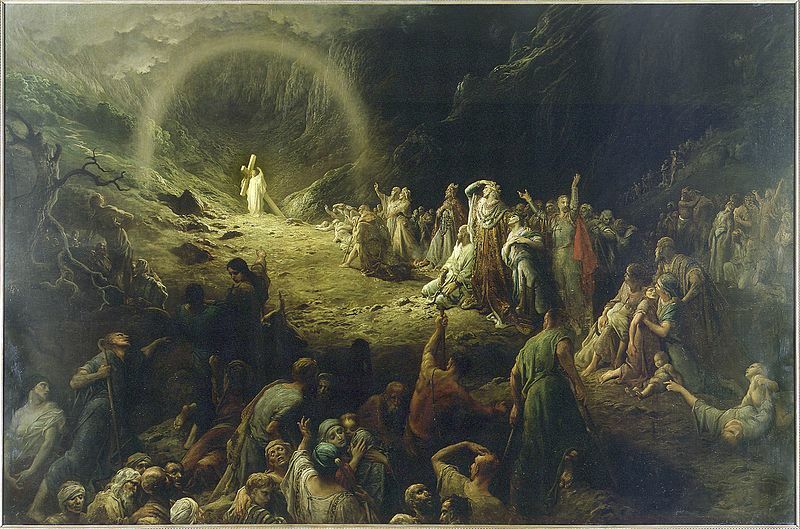 While it is important to explore how divine providence and evil relate to one another, it is equally important to acknowledge the reality of mystery; both the mystery of Christ’s own Incarnation, and the mysterious way by which the Christian unites his sufferings with Christ’s by participating in Christ’s body. As Christians we ought to embrace a life of both faith and reason, understanding what things can be known to us, and what things remain mysterious. Can we know why it is that God decrees “…in the day you eat of it you shall die”? Can we know why disobedience leads to death? These are the sorts of questions that are at the root of the question of suffering: Why do we suffer when we go against God and, therefore, against ourselves? If we look at God and accuse him of injustice for not preventing an evil that results from a free choice, then we judge God. We must not fall into the trap of the sins of our first parents, who desired knowledge to “be like God” (Genesis 3:5). The man who would assert the necessity of his intellectual consent to the workings of divine providence makes a devil of God, and a god of himself. We may never fully understand why things happen the way they do in this life. We ought never to forget, however, that as Christians we embrace a life of faith, and live as members of the Body of Christ, uniting our sufferings to His. As Christians we live in the promise that “in everything God works for good with those who love him” (Romans 8:28). No matter the magnitude of the suffering, we have been promised that good can come from any circumstance, and that God will never disappoint us: “we rejoice in our sufferings, knowing that suffering produces endurance, and endurance produces character, and character produces hope, and hope does not disappoint us” (Romans 5:3-5). Hannah holds a BA in Liberal Arts from Thomas More College of Liberal Arts, and is currently pursuing an MS in Bioethics. She loves theology, philosophy, and spending time with family. Beautiful, clear and precise essay on suffering. Excellent!